Few months ago, I was invited to join the press conference of Snowcaps having Alden Richards as their newest brand ambassador. I was very excited to go for me to be able to finally meet the Pambansang Bae in person! I was surprised to know that one of the reason of his glowing skin is Snowcaps, and I was happy to try it too. When I was still in college, I have a darker skin. Of course, during those years, I still couldn't afford buying high-end beauty products to make my skin look fairer. Although I wasn't close to being a morena, I am still not satisfied with my skin tone. So when I got my first job and I already have the money for my beauty splurges, the first glutathione capsules I have tried is the JC Premiere Glutafit. It was given to me by a friend, to try. 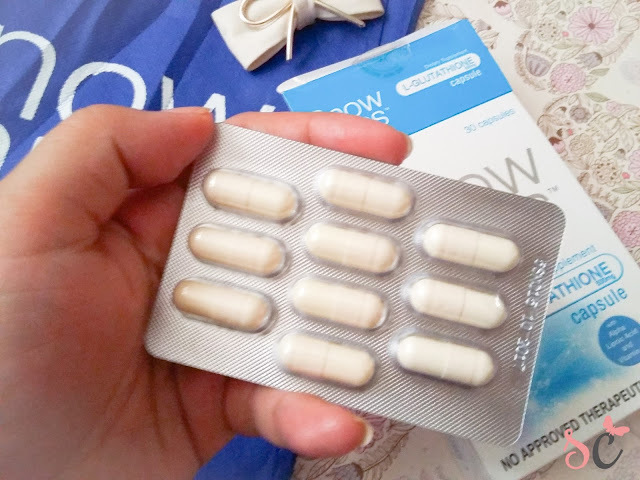 Before, I was scared about taking glutathione, but when I have tried one, it started to get addicting. I don't have a formal review of the Glutafit since when I have tried it, this blog wasn't created yet. So this is my first blog review about a glutathione brand. But if I will be given a chance to try Glutafit again, I will surely review because I swear, the product works so well on me. 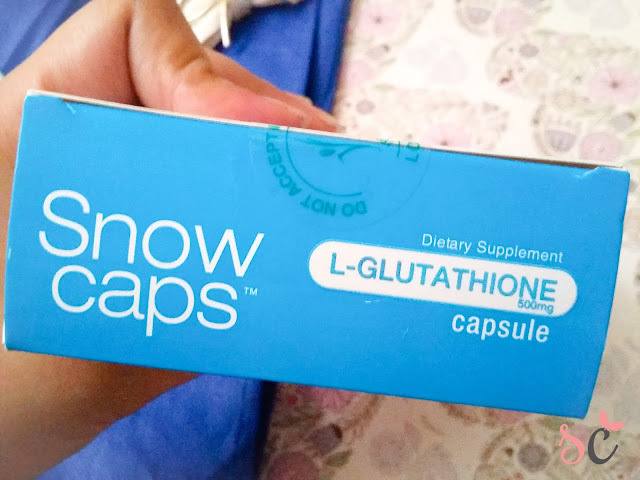 Anyways, for today I will be reviewing Snowcaps Glutathione by Vida Nutriscience, the makers of MySlim and Acne Care. SnowCaps whitening process works in the metabolism of Melanin by reversing the dark melanin pigments into light pigments and reduces melanocytes, which produces melanin. By taking one capsule at least once a day allows you to achieve the whiteness moviestar has. This is the most affordable glutathione I have seen in the market that is FDA approved. 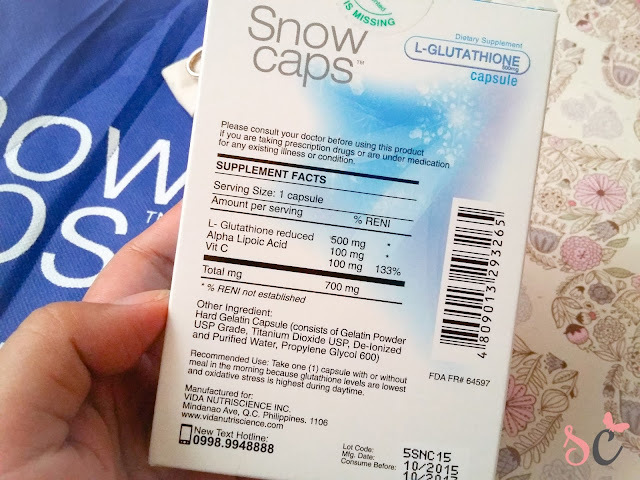 Most glutathione costs around 1,800php+ for 30 capsules. 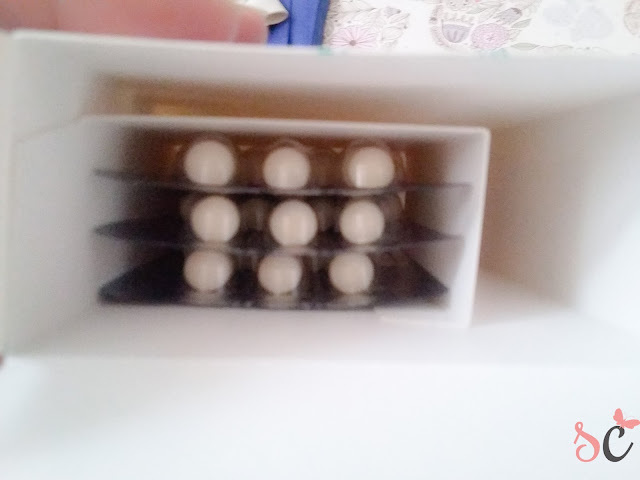 It comes in a handy box with the capsules packed in blisters. I haven't experienced any discomforts like headache, etc. which is good. It feels like I am just taking vitamins. According to the makers of Snowcaps, it is best to take this with Vitamin C so that it will work well on the whitening side. Little did we know that whitening is just glutathione's side effects. The main work of these supplements is being an antioxidant, and reversing melanin's metabolism which turns the dark pigments of our skin to light. As much as I want to give this brand a five star rating, I just can't because if you're after whitening, it doesn't really whiten or makes the skin any lighter. But! If you are after the cleansing/antioxidant, this one is good. I have read some blogs where they have seen visible effects on their skin, however, after taking these capsules, I didn't see changes on my skin. Usually, my friends would say 'pumuputi ka' but I haven't heard those words from them, so yeah, I think Snowcaps just didn't work for me. Or maybe I need to take it a bit longer? Although I've heard from some of my friends that "I'm blooming", maybe because while taking Snowcaps, my pimple marks faded and dries easily, so the blemishes quite disappeared. As for the skin quality, while taking Snowcaps, I noticed that cystic pimples don't usually appear on my face, and when I stopped taking Snowcaps, they reappeared! :( Should I take it again? I would still give 4/5 since only the whitening didn't work for me. Snowcaps is available in all leading Mercury Drug, Watsons, and Southstar Drug nationwide. 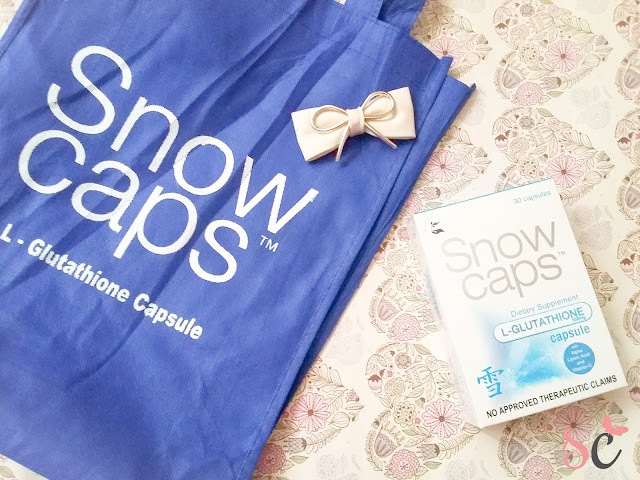 Disclosure: I received this Snowcaps capsules for free as part of the press kit, but I was not paid to do this post. Opinions are mine. No, maybe you should try cleaning your face.